11th Annual Historic House Tour a Success! Thanks to everyone who helped make the Tredyffrin Historic Preservation Trust’s 11th Annual Historic House Tour a success! On Saturday, September 19, eight private homes historic homes and gardens, dating from the Revolutionary War era to the 20th century, opened their doors to the public. Over 500 tickets were purchased for the house tour — the Trust’s annual fundraising event, which raised almost $30,000 for the Living Historic Center in Chesterbrook. 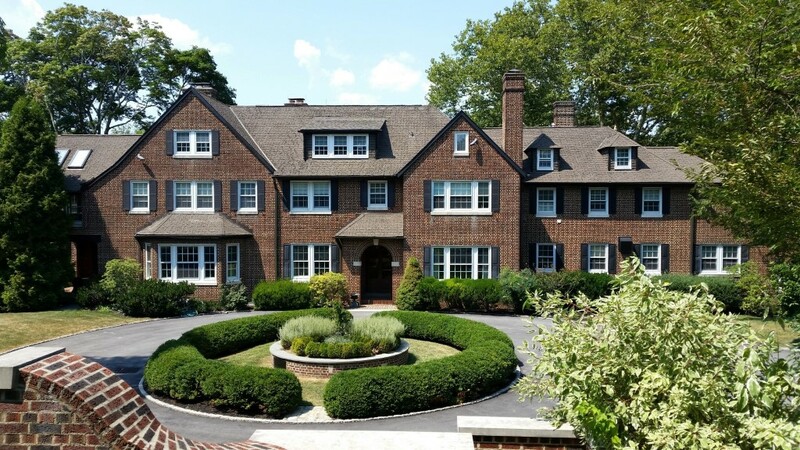 The 2015 house tour featured a select group of remarkable historic homes in Tredyffrin, Easttown and Willistown Townships. Volunteer docents were placed throughout the homes to discuss aspects of the architecture, historic preservation, restoration and creative modern interpretation for 21st century living. Old friends spent the day together and new friendships were forged – all while stepping back in time and learning about the rich history of the community and the families who had lived in these houses. 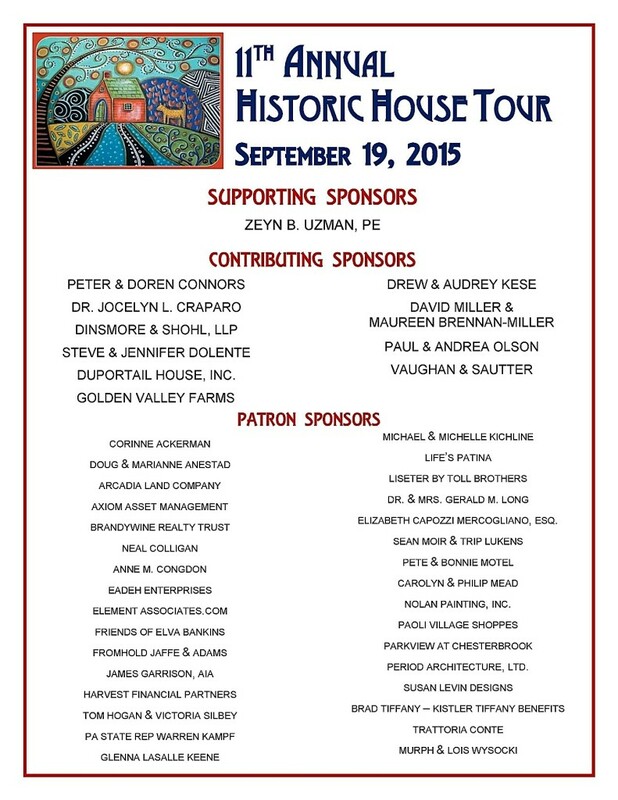 The Trust is deeply grateful to the owners of the historic homes featured on the 2015 tour. They not only allowed visitors to come in their homes – they enriched the experience by sharing information and stories about the historic structures. What a truly delightful group of old house owners on this year’s tour – the effort and time spent on details by each homeowner was remarkable. Historic house-owners are very special people, and our house tour participants were no exception. In addition to the private homes on the tour, visitors enjoyed a stop at the Diamond Rock Schoolhouse, an octagonal one-room school house dating to the early 1800’s. The event is a community event and would not be possible without our generous sponsors, the support of our volunteers and especially without those who so graciously opened up their historic homes to the public.